The United Arab Emirates (UAE) is made up of seven states, the best known being Dubai and Abu Dhabi. 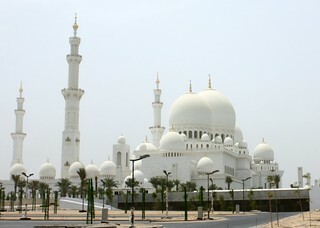 The dual-personality UAE uniquely and harmoniously combines an Islamic state, complete with Bedouin lifestyle and muezzin calls to prayers, with western-style nightlife and fun activities like classy shopping. Here’s three suggestions that between them, will give you the unique experience and flavour of UAE. This is an excellent and central place to start as it will give you a brief history and perspective of the UAE in the shortest space of time possible. The sensibly-sized establishment follows the amazing transformation of Dubai from tiny fishing/pearling village to free-trade port and sophisticated Arabian metropolis. History, culture and traditions are well presented and include finds from the Al-Qusais, an important settlement and associated cemetery from the second and first millennia BC with copper or bronze weaponry and vessels on display. Marvel at the wooden boats and traditional barasti (palm-leaf) houses and discover the art of making traditional but effective wind-tower (barajeel) ‘air conditioning’. The excellent audio and hologram-like video presentations are both awe inspiring and informative. The one-million soul capital is built on an island projecting into the Persian Gulf. 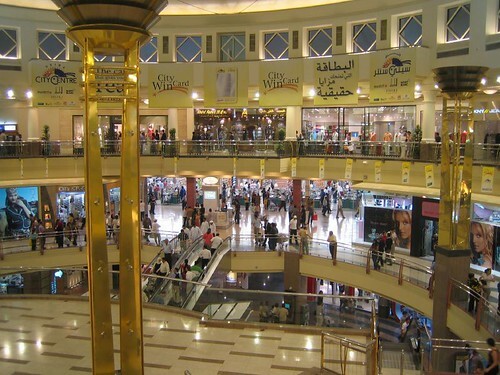 The shopping experience is unique – there are very few places on the planet where you can buy traditional quality hand-made Arab goods and the latest western-style designs, all within the same grandly designed spaces. Choose your venue from the premium shopping and entertainment landmark Marina Mall, designed and constructed on the Breakwater with luxury shopping for everyone, the Abu Dhabi Mall with over 220 stores, 40 food outlets, a hypermarket and a six screen cinema, or any of the other 16 shopping malls and centres offering a fantastic variety of goods in the famous Arab tradition. Be prepared to enjoy some traditional haggling and max out those credit cards. Shopping hours vary from Saturday-Wednesday 10:00am to 10:00pm and Thursdays 10:00am to 11:00pm, with shops opening later on Fridays. Hatta is a reconstructed heritage village in the beautiful mountainous region of Hajjar, around a one hour drive from Dubai, so it is possible to do this as a day trip… The recommended route is the Dubai-Hatta road which leads to Oman. This truly scenic and enjoyable drive goes through sand dunes and coastal terrain. Once in Hatta, apart from the charming location itself, you can indulge in dune bashing in 4X4’s, followed by a traditional campfire Arab kebab dinner.. If you decide to stay overnight, you can choose between spending the night under canvas or in a resort hotel.